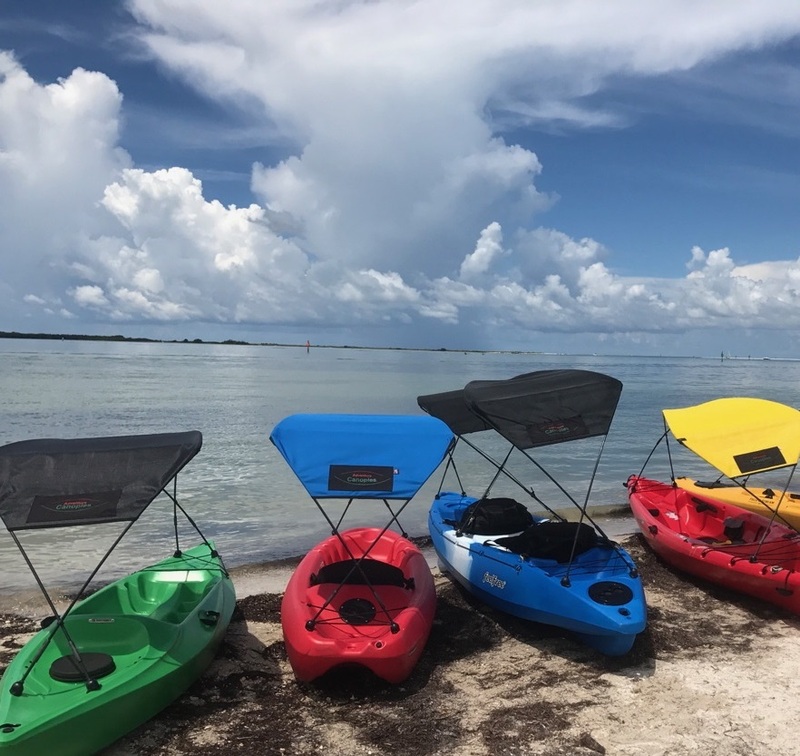 Kayakers no longer left out in the sun. 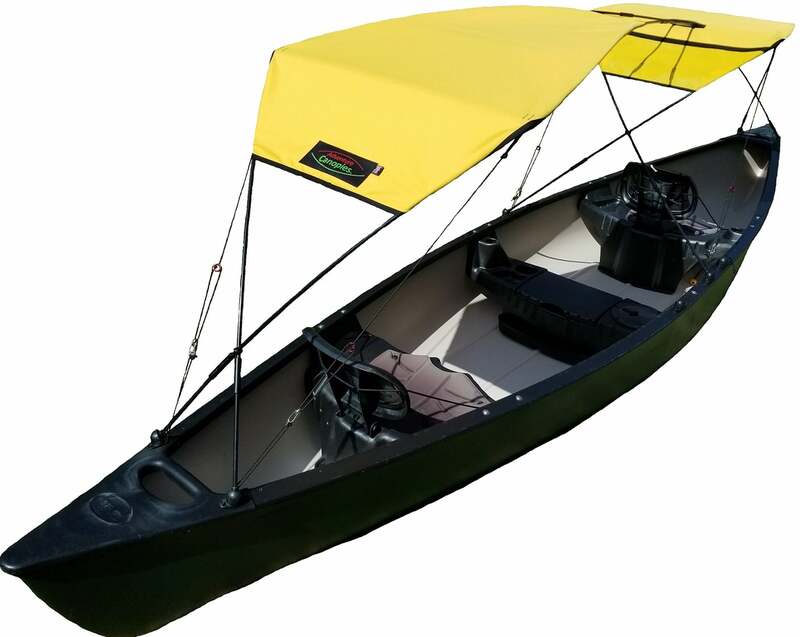 You are now covered with the 1st ever bimini available for Tandem Kayaks! Perfect for 12 to 13.5 foot, two seat, Sit-On and Sit-In kayaks. 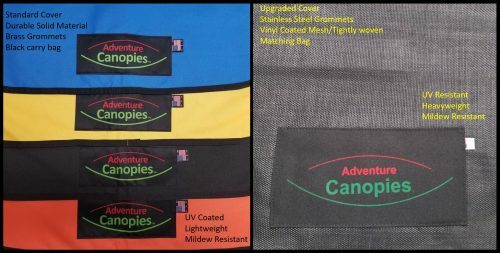 Collapses and folds into compact carry bag for easy transport. 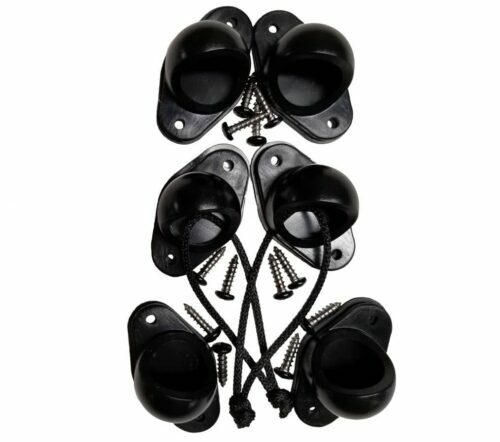 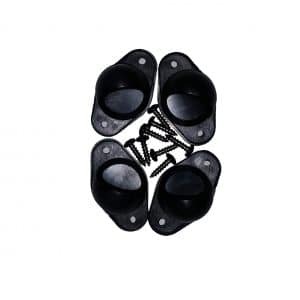 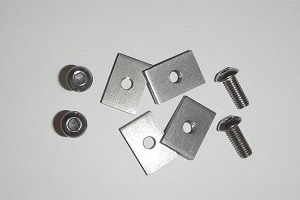 All hub mounts and stainless steel screws included for easy installation. 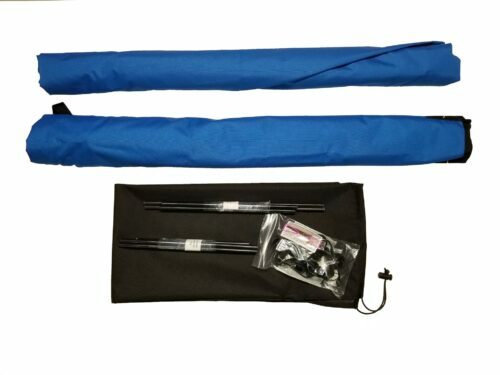 Free adjustable height kit also included allowing for easy modifications to fit your unique needs. 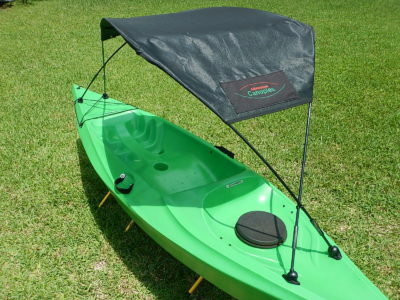 Dual configuration design allows the forward cover to be used as a stand alone shade allowing the rear to remain open. 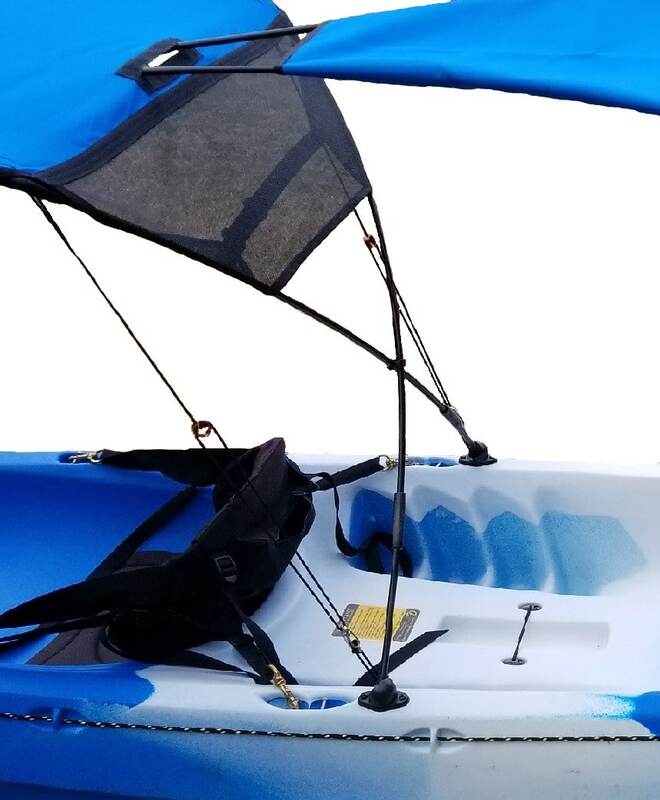 Interested in just a cover for the forward seat check out our Shiner Canopy. 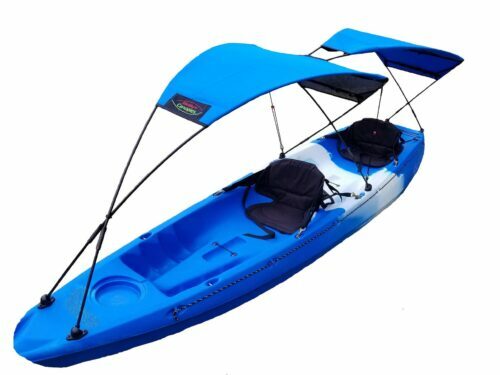 Keep COOL and PADDLE on! The first bimini for tandem kayakers that offers every paddler the duly needed shade they deserve. 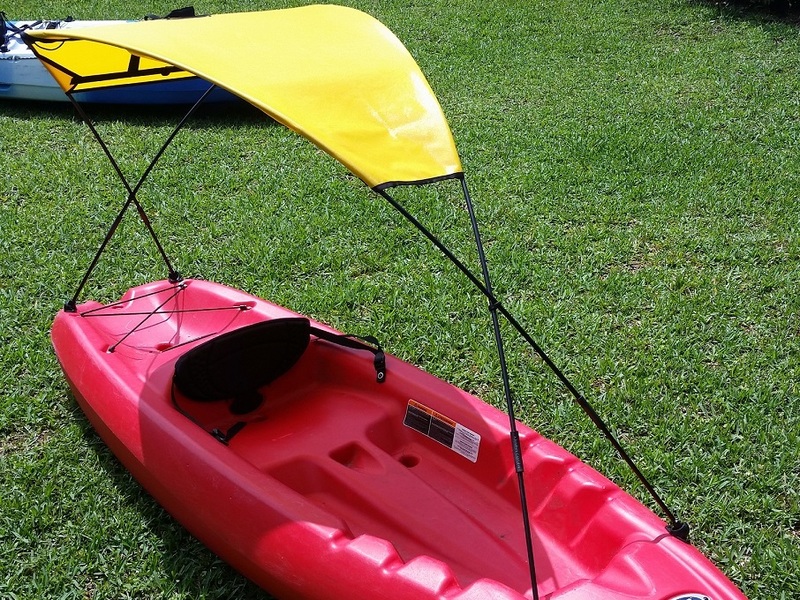 The simple frame design is nothing new to an outdoor enthusiasts. 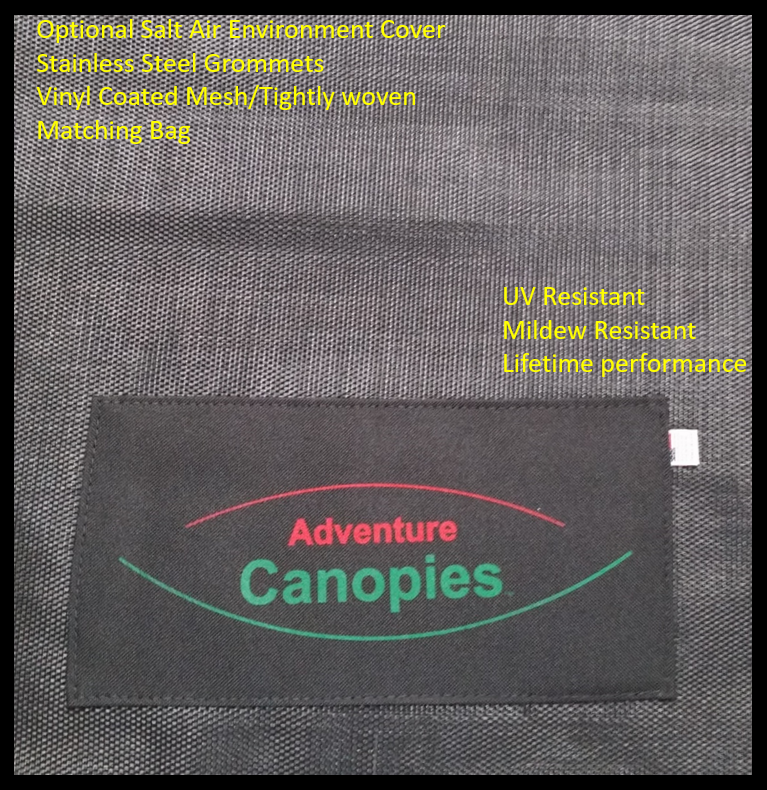 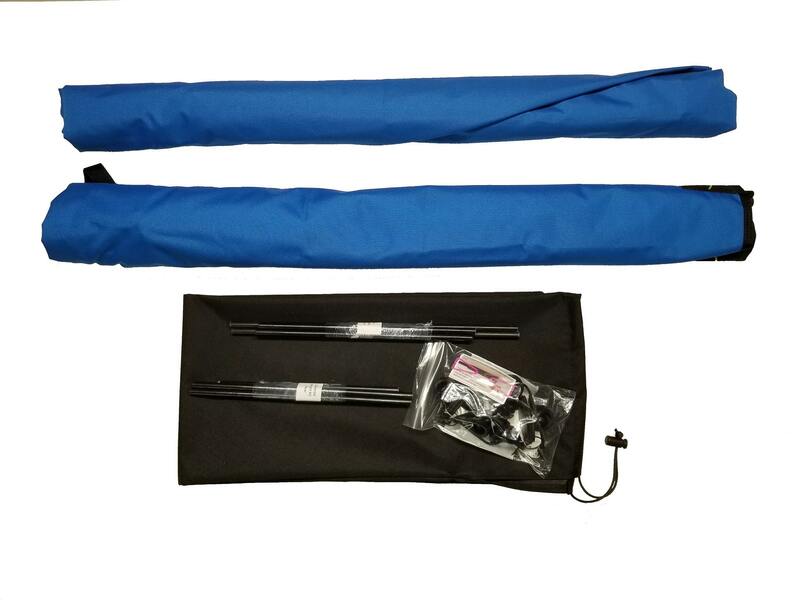 Adventure Canopies integrated the basic tent pole concept into your new bimini making setup a snap for both youths and adults. 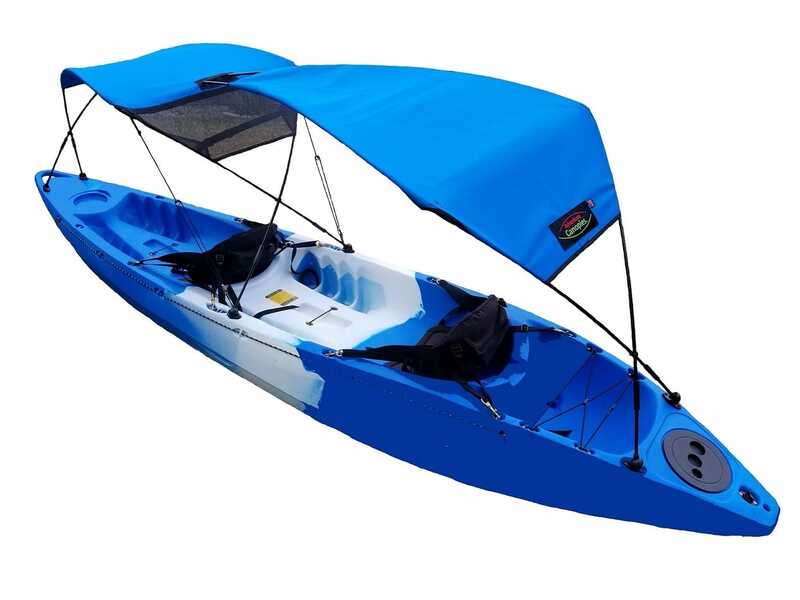 The fitting design allows for either both paddlers to enjoy the shade or just the forward paddler based on their desire. 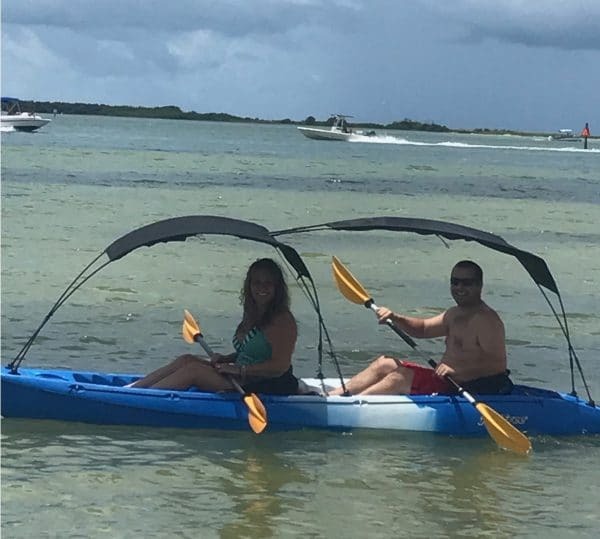 The overhead cover designed specifically for the outdoors provides the shade and a cooling effect never before available for kayakers on the open water.